We are happy to announce that the Fillmore Micro Grants Application is open! 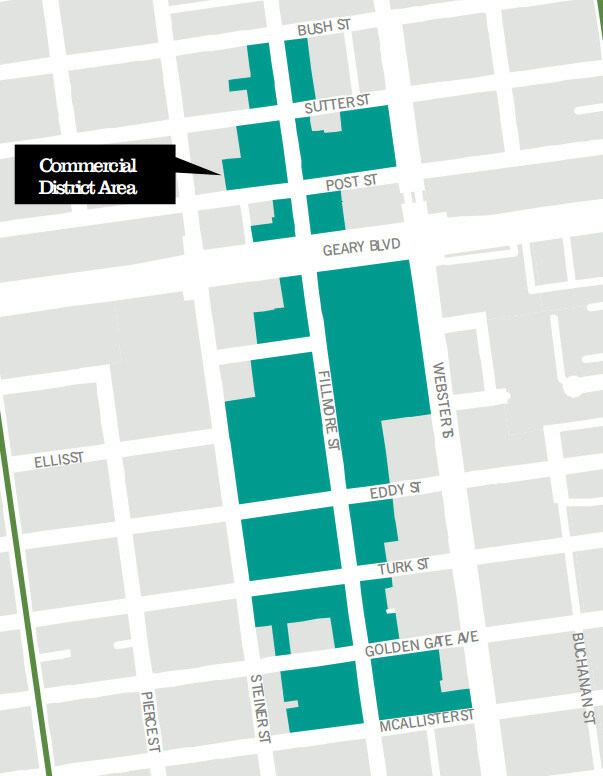 Four to Six Micro Grants will be given to businesses along Fillmore Street from Bush Street to McAllister Street. Eligible businesses are encouraged to apply (colored green in the map). Shout out to Lower Fillmore Merchants Association, Andrea Baker Consulting, and Urban Solutions for making this community vision come true. Download the application form. If you have any questions, feel free to email sida@sfbeautiful.org.